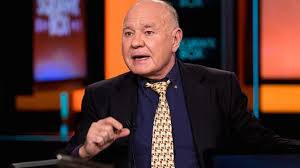 Marc Faber, Publisher of the Gloom, Boom & Doom Report, says not much. He told Bloomberg’s Yvonne Man and Bryan Curtis the European Union is "a complete failure." To the question, "Was Brexit a vote against globalization," Faber said he thought the EU was reducing globalization, not increasing it. Download: What's So Good About The EU?